I was given my Jane.com products in exchange for a review. All opinions and photos are my own. Happy Friday everyone! Can you believe we're already half way through March already?! This week has been a busy one with doctors appointments, dentist check ups and more! I'm trying to just get everything in before I need to focus all my attention on sleeping, eating and snuggling with our little guy soon. Productive? You bet! Anyways, I love sharing some of the things I'm loving this Friday! 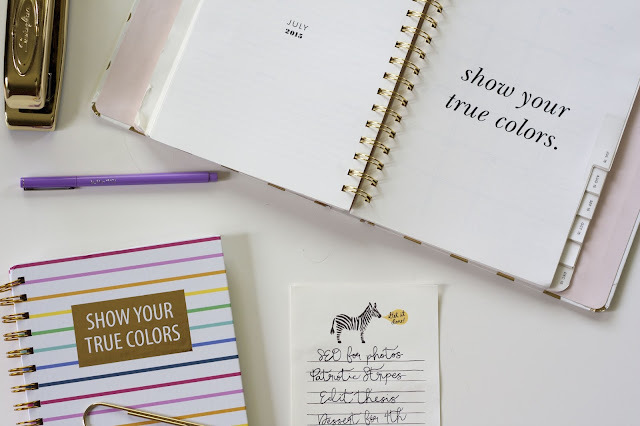 If you're new to my blog I link up with a few of my favorite bloggers and we share what we're enjoying this week. Of course, I always love hearing what you're loving too so feel free to comment and let me know below! Let's get started! 1. Beauty And The Beast - This past weekend I was super excited to have seen one of my all time favorite movies in theaters. I remember seeing the animated movie when I was 7 years old and became obsessed with the movie, the plot and of course, the library. If you haven't seen it, you need too! It was incredible. 2. Jane - I'm loving how comfortable my new Moto Jeans are from Jane.com ! I saw a few bloggers wearing these a few months ago and had to jump at the chance to try them for myself. I'm hooked! Of course you know I'll be wearing them even more after our little man arrives soon! Comfort? Cute? It has it all! I also had to get this adorable tunic in a gorgeous kelly green. I thought it was perfect for Spring! 3. GIVEAWAY! Don't forget to enter this awesome $25 gift card to Starbucks I have going on my Instagram! Since the first day of Spring was Monday, I wanted everyone to have a chance to win! Go enter now! It end's tonight at 10pm! 4. 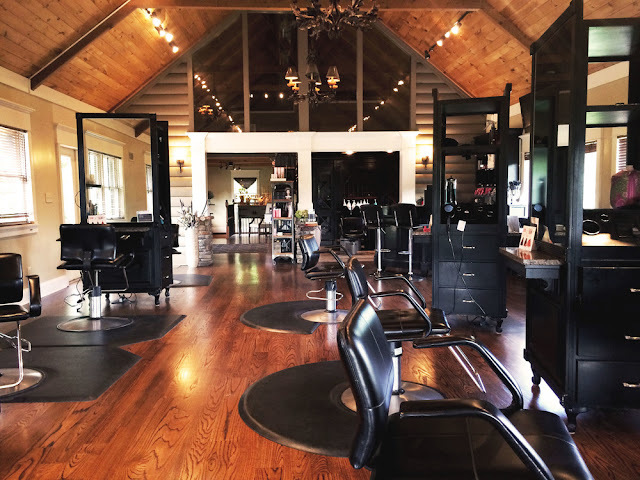 J. Thomas Salon - I'm super excited to be heading up to my favorite salon tomorrow to get a much needed balayge make over with my hair. Before this little guy comes, this Mama needs a bit of pampering. Follow along on my Snapchat/ Insta Stories to see how it all goes down!! I can't wait to share the final results! Hoping you all have a fabulous weekend! 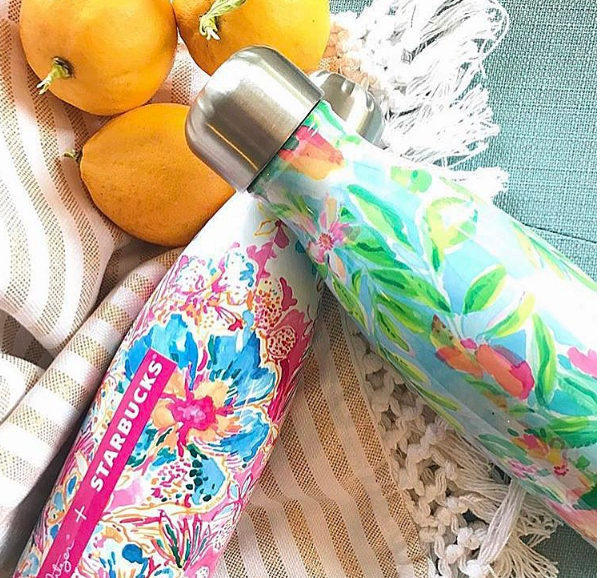 I love those Starbucks water bottles!! 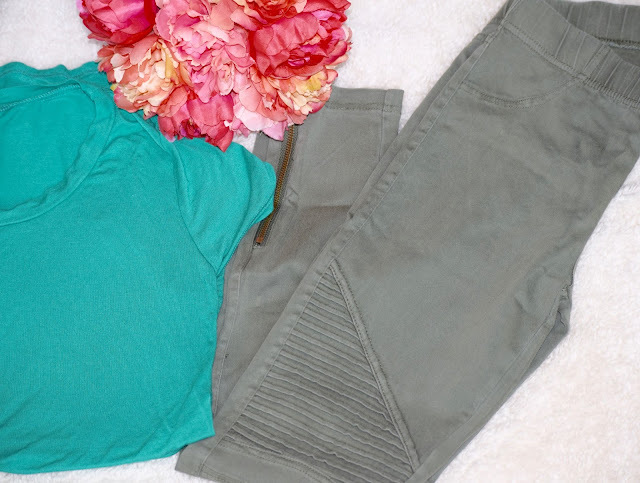 SO fun for spring! Great list of favs, girly!! That salon seriously looks like a resort lodge! Amazing! I haven't seen it yet, but am dying to see Beauty and the Beast. Happy weekend, girl! What a gorgeous salon. And I just went and entered the giveaway... so fun! :) Have a great weekend! p.s. I'm looking for people to host FB parties for Usborne Books and More if you're interested! They have baby shower themed parties if you want do something like that and earn free books for your expecting little boy! That salon is gorgeous! It looks like it would be sooo relaxing. Those leggings...I've seen so many people wearing them, but I'm not sure I can pull them off. They're so cute though! woot woot! Sounds like a great week and a fabulous giveaway! Have a great day getting your hair done! Always the BEST day! I'm so excited to see Beauty and the Beast.